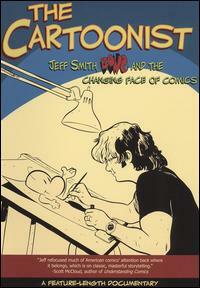 The Cartoonist tells the inspiring story of Jeff Smith's creation of the epic comic book, BONE, hailed by critics as one of the greatest graphic novels of all time. Fellow cartoonists Scott McCloud, Colleen Doran, Harvey Pekar, Paul Pope, Terry Moore, as well as friends, associates, experts and Jeff himself, share their stories of this worldwide phenomenon that began in small comics hobby shops and is now found in bookstores, schools, libraries and the homes of millions of adults and children in 25 countries. In addition to discussing Jeff's early years, influences and philosphies, the film provides a look at a unique industry and art form that continues to evolve as its audience expands.